More than 700 Year 12 students from 57 schools across the state added a supplementary dimension to their studies when they attended the annual University of New England’s HSC Booster Days this week. Students from as far away as Dubbo and the Far North Coast received intensive help in 13 different subject areas including mathematics, science, legal studies, business and economics. Head of School, Environmental and Rural Sciences, Professor Aron Murphy ascribed the long-running success of the program to the range of resources and expertise provided. “In one session, students will use stationary bikes to identify the maximum amount of power they can produce over repeated high intensity exercise bouts. This will help them to assess the role of anaerobic energy systems in producing ATP, the main energy source of most living things, and consider the causes of fatigue,” Prof Murphy said. “Such technical equipment and the means to analyse data is unavailable to students in most schools and will assist with conceptualising abstract knowledge and in applying theory to practice. 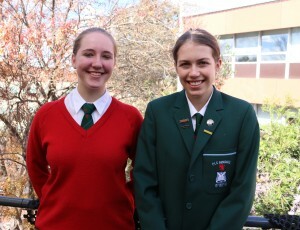 Emily Seaman from the Presbyterian Ladies College, Armidale found the Physics and Chemistry experiments helpful. “We observed experiments, such as bending light, which put work we did throughout the year into perspective. It is a really fun way to do revision,” Emily said. 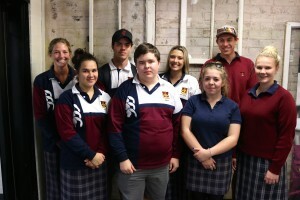 Isobel Robinson, Hollie Sampson, Miles Kearney, Aaron Bender, Montanna Allan, Emily Simmonds, Daniel Rea and Kathlin Shaw from Quirindi High School. Quirindi High School also had a team of students attending Booster days. “I found the presentations I attended very beneficial and interesting and would recommended it to anyone doing their HSC,” Emily Simmonds said. UNE academics led the maths and science subjects while High School Certificate experts from Sydney presented on economics, business and legal studies highlighting exam HSC strategies, tips and traps. All sessions are aligned with the HSC curriculum and designed not only to broaden knowledge but also inspire learning.